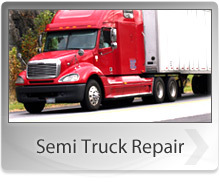 Some states require regular safety inspections and/or emissions inspections on cars and trucks. At Midwest Auto & Diesel Repair, LLC, we are well-equipped and trained to perform these inspections. Our technicians can also perform multi-point inspections on your vehicles as needed. MO state inspection stations are privately owned, but government certified, inspection stations throughout MO. Midwest Auto & Diesel Repair, LLC is a MO state inspection station. For your state inspection needs visit or call our auto shop at 816-632-1611.